According to the band's Biography: Guardian was originally founded in 1982 in Orange County, California under the name 'Fusion', by singer/songwriter/guitarist Paul Cawley and bassist David Bach. The original band lineup included drummer Steve Martinez and guitarist Gene Thurston. The group stood out in the burgeoning Los Angeles metal music scene due to their unconventional futuristic body-armor stage outfits, whose concept Cawley derived from the biblical passage in Ephesians 6 regarding “putting on the full armor of God”. Member changes in 1984 included drummer Rikk Hart and guitarist James Isham. In late 1984, Isham departed, and the trio of Cawley, Bach & Hart recorded an EP of six Cawley-penned tunes called Rock In Victory. During early 1985, the band experimented with some pop textures and were temporarily joined by keyboardist Brent Jeffers and vocalist Pat Dewey, who left shortly thereafter to form a band called The Deacons. After much searching, Cawley, Bach & Hart recruited guitarist David Caro. Caro arrived just in time for one of the first of many shifts in the band’s trajectory. GARDIANIn 1985, the band managed to strike a record deal with Enigma Records, after Hart’s high school friend, Eric Blair, (who worked for the Christian metal band Stryper) pitched the Rock in Victory EP to Enigma Records President, Wesley Hein. When they found out there was a Spanish band also going by the name Fusion, they changed the band name to Gardian – intentionally misspelled to have 7 letters in line with the Stryper numerology of the day. In early 1986, Caro left the band and was replaced by guitarist Tony Palacios. 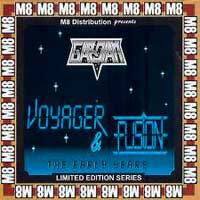 With Palacios, there surfaced a bootleg EP, Voyager in 1987—which were really just pre-production demos recorded in the backroom of an Orange County music store. 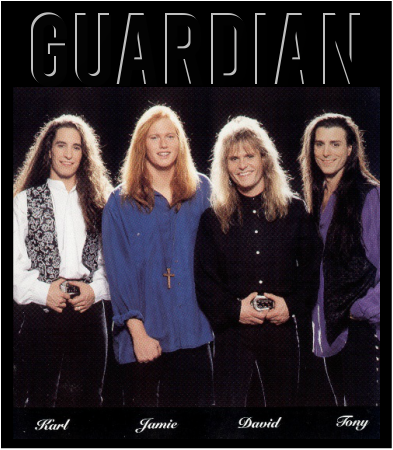 GUARDIANIn 1988, the band abandoned the space armor and added the “U” to their name—while continually touring throughout California and recording demos for their record label. In 1989, Enigma/Capitol finally released their first official album, First Watch, produced by Stryper’s Oz Fox. This release featured a more melodic metal sound and was followed by extensive touring through the United States and Japan. Rikk Hart departed the group in the fall of 1989 and was replaced by drummer Jason Souza for the Japanese tour. Souza was then recruited by John Alderete and John Corabi for the original lineup of The Scream and was replaced by former Shelijahn drummer, Karl Ney. In early 1990, founding member Cawley left the band. After Cawley’s departure, Bach and Palacios asked to be freed of their Enigma contract, requesting a more Christian-focused label. After they were released, former Tempest lead singer Jamie Rowe joined the band. The new Guardian then inked a deal with producers Dino and John Elefante’s Pakaderm label—with distribution through Word Records in the Christian market and Epic records in the mainstream market—and entered the studio to record their sophomore release 'Fire and Love' with the new lineup. Fire and Love has always been my favorite release by this band not just due to the incredible music that stays true to the Metal genre, but also for its strong focus on Christ centered lyrical content. Also the world was introduced to an amazing vocalist Jamie Rowe. Cornerstone described this album as being "Bon Jovi to the bone". I agree that they have a similar sound as the before mentioned band, but I would say that they are not a carbon copy as Guardian has their own unique sound. you, there's a better way. 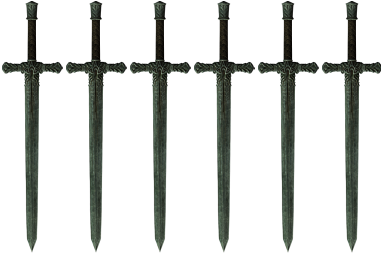 empty, you always give me more. Miracle Mile was produced by John and Dino Elefante and was considered the bands most successful album to date. With 'Swing, Swang, Swung' we find the band straying from the Hard Rock/Metal scene to experiment with acoustic and Folk musical styles. Buzz was produced by christian alternative artist Steve Taylor who takes Guardian into a different direction with that being the relative 90's Alternative/Grunge scene. 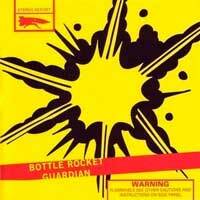 'Bottle Rocket' was the Alternative/Grunge followup to 'Buzz' which also was produced by Steve Taylor. On this release, we find that the band explores even deeper into the Alternative genre. The Yellow and Black Attack 1999 EP release was a Stryper tribute album. This is a remake of Strypers 1984 Debut EP release "The Yellow and Black Attack". Juat as Stryper put each band member's innitials on each rocket, Guardian did the same on the rockets in their artwork as well. The last of the 3 albums I have posted, is the newer artwork that Stryper has issued today. This is a compilation re-release of the original Sci-fi-influenced Rock music demo/albums with Vocalist Paul Cawley for die hard fans. This was the early years when the band called themselves Gardian without the 'u' in order to be in keeping with Stryper and only have 7 digits in their name. 'Almost Home' is a mixed bag of Rock music. Some tunes remind me of 'Miracle Mile', some vocals and compositions remind me of Vocalist Terry Taylor(Daniel Amos), Guitars sometimes sound like Carlos Santana, there's a instrumental that reminds of Rex Carroll(Whitecross),some tunes sound like straight up Rock tunes and others have that 90's Grunge element and theres's several slow laid-back tunes. I must say that Jamie Rowe sounds as good as ever for having taken 15 years off before this album was released. I really like the bluesy vocal delivery that Jamie was blessed with I'm just hoping that one day the band will return to the cool Arena Rock sound of 'Fire and Love". If you like Rock music with a Bluesy slant to it then you will love Guardian. So take a listen because every album is different as each one was produced to be in keeping with each era that they were released.